Dubbed the fastest man in Africa, South African sprinter Akani Simbine is riding high right now and is on a mission to conquer the word — and the right brands have noticed. Given that he has proved that he can beat the big names in the world of athletics, he set the second best time in the world of 9.92 seconds, beating a strong field of former world and Olympic champion, Asafa Powell, Justin Gatlin and Andre De Grasse... it was only a matter of time before a big name brand like Mercedes Benz would be knocking at his door. Hot of the elation of beating Asafa Powel at the Diamond League race in Doha on May 5, a partnership with Mercedes-Benz in South Africa as their ambassador was announced. “Mercedes-Benz is personified by excellence, style, speed and inspiration. 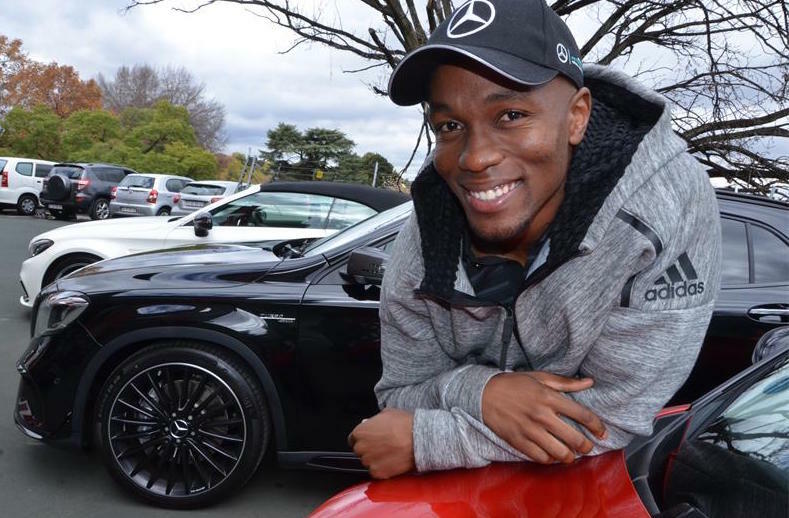 This is why we are ecstatic that Akani Simbine, who recently scorched the track in Tshwane when he ran the fastest 100m ever in South Africa, will join the family as a Friend of the Brand,” said Selvin Govender, Marketing Director, Mercedes-Benz Cars South Africa. “We are very proud to have Simbine as part of our team at Condriac and together with Mercedes, we know that Simbine will bring back proudly to the country not only the world championship medal but also the best times in the world, and we wish him all the best with his journey,” said Keshia Patchiappen, CEO Condriac Agency. Simbine is headed to Kingston, Jamaica, where he will spend a few days training with Bolt, as he did in 2016, before their race on June 10.